Office Manager, Cook Specialty Co. Inc.
Q. How long have you been in the baking industry? Q. What’s your first memory of baking? A. Cream Cheese Sugar Cookies. They smell delicious and they can turn into such a beautifully decorated cookie. Q. What’s the best/worst thing to happen since you began working in the industry? A. The worst would have to be seeing a bakery that I worked for, for 6 years ending. The best would have to be working for Cooks and seeing all the experienced people that are in the baking industry. Also, being able to meet some of the world known sugar artists and decorators at some of our shows that we do. Q. What sorts of trends do you see? A. We are seeing shorter lead times on orders going to our bakery customers which gives us shorter lead times on getting them their order because customers of the bakeries are wanting cakes super fast. Also, the need for more pre-made items like gum paste flowers are in higher demand because of the lack of time to complete them. Q. What do you find most challenging about baking? A. The constant flow of trends and how fast they can phase in and out. A. That I am a huge fan of Harry Potter, Marvel, and pretty much everything that is geeky. Q. What do you like to do when you aren’t baking? A. I usually can be found at home, reading a book or spending time with family. Q. 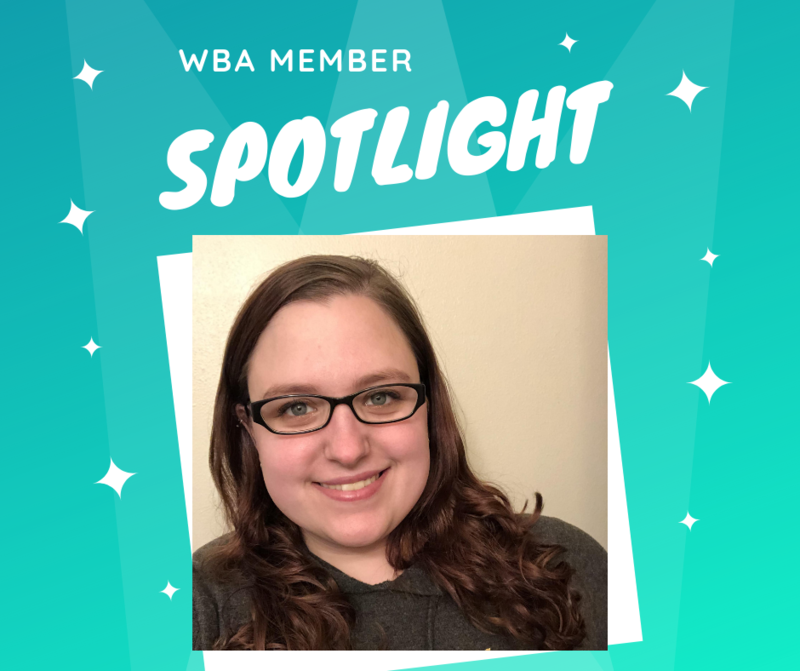 How did you first get involved with the WBA? A. In 2015, I competed in my first cake competition at the Midwest Foodservice Expo and won Best of Show for my Buttercream Wedding Cake. That was the first time I had heard of the WBA since they were the ones putting on the competition. Q. What would you tell someone who is thinking about joining WBA? A. Join. They are a huge help for any and all questions that you may have; they know the people who you can ask if they don't have the answer. Q. What do you think will change about WBA over the next five years? A. I'm hoping that we continue to grow! That we are able to have events that our members and the public are able to learn from!